WordPress makes it easy for everyone to build and maintain professionally looking websites without too much hassle. But despite the fact that the platform is very versatile and user-friendly, not all of us have enough programming knowledge to tweak a theme’s design or create unique page layouts. That’s where the drag and drop functionality comes in. Now you can design quality pages by just moving around theme elements into a canvas. Needless to say, this saves both time and tons of frustration. So if you’re looking to customize your posts without touching a line of code, you’re in the right place. Here are the best drag and drop WordPress themes for 2016. 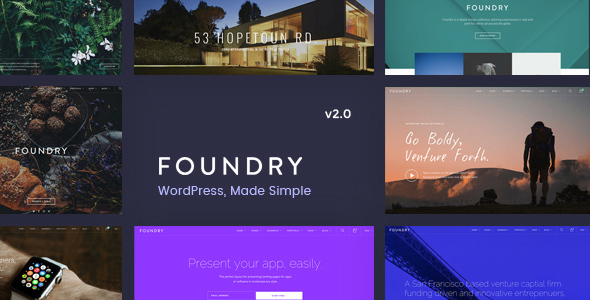 As all drag and drop WordPress themes on our list, Foundry is versatile and high-performance. What really makes it shine is that it comes with top-notch support. Even if you’re experiencing trouble setting it up (which we seriously doubt), there will be someone available to help you ASAP. The theme comes packed with Visual Composer and loads of flexible custom page builder elements. You can build in real-time using a vast array of meticulously designed blocks. Sounds easy, right? Moreover, the theme is also SEO-friendly, WooCommerce ready, and beautifully organized. Avada packs a beautiful drag and drop Fusion Builder meant to save you time and speed up your workflow. It also offers multiple demos to choose from, so we’re sure you’ll find one to best suit your needs. Furthermore, the theme comes with powerful options, WooCommerce integration, and several other intuitive tools that will come in handy. Top-notch support is also included. 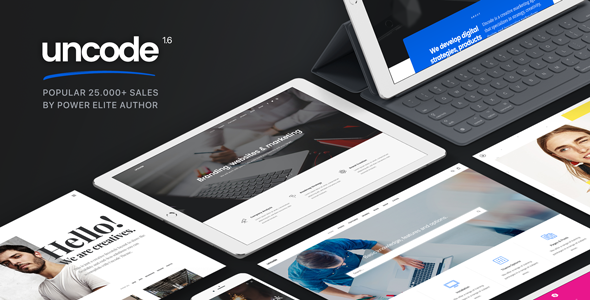 Rounding up our list of intuitive drag and drop WordPress themes, BeTheme has a lot going for itself. 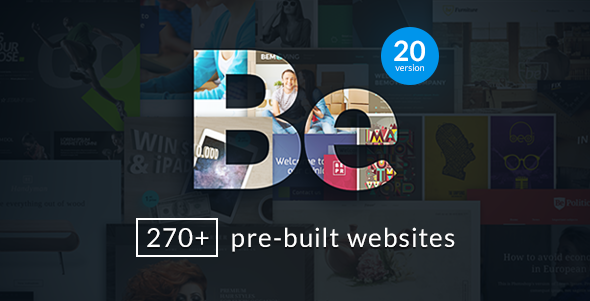 It comes with 220+ pre-built websites (you read that right), the spectacular drag and drop Muffin Builder, and tons of customization options. To say it’s a comprehensive theme would be an understatement. WooCommerce integration, custom widgets, a shortcode generator are also included. So is the Revolution Slider plugin – for free! The name pretty much says it all. Total provides a complete WordPress solution to anyone looking to build a rocking site. It offers easy back and front-end editing, packs $83 worth of premium plugins, and is WooCommerce ready. You will set it up in minutes and then wonder about how easy tweaking it really is. You get 90+ builder blocks and unlimited combinations, so there’s basically nothing you can’t build. There’s no doubt your site will look awesome. Uncode lets you choose between 30+ concepts, so building a layout was never easier. There is a wide range of built-in pages ready for you to work your magic; and thanks to the enhanced Visual Composer, your job will be a walk in the park. The theme works well with WooCoomerce. Plus, you also get several premium plugins for free – Slider Revolution, LayerSlider, iLightbox. That’s what we call a bargain. 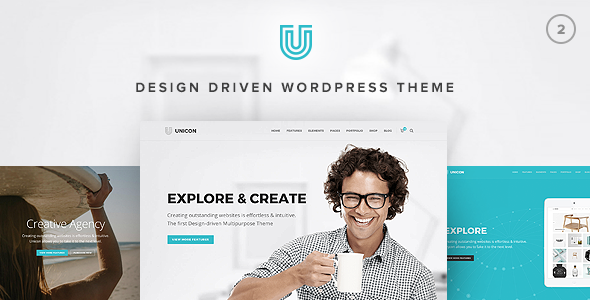 Unicon is a design-driven multipurpose WordPress theme developed with great attention to details. The theme’s incredible features and intuitive user interface will surely grab your eye. The theme packs the Visual Composer plugin for easy building, but also over 50 in-house developed, customizable and flexible page builder elements you can use to create your dream site. Besides, Unicon is also flexible and SEO-friendly. Bonus: you get the Slider Revolution plugin for free. Like the movie with the same title starring Bradley Copper, this theme will dazzle you. It’s loaded with the most advanced technologies like RAD Builder and Enigma Styler, so you can change the look and feel of the theme without breaking a sweat. The theme is also clean and responsive, SEO-friendly, integrated with WooCommerce, and translation ready. Limitless was built to help you craft amazing websites at mind blowing speed, and it lives up to the hype. Talk about cutting edge. 15Zine is a ridiculously versatile and packs an integrated review system with unlimited criteria/pros/cons. For the homepage, you can use the theme’s exclusive and powerful homepage drag and drop builder to create modern and layouts. 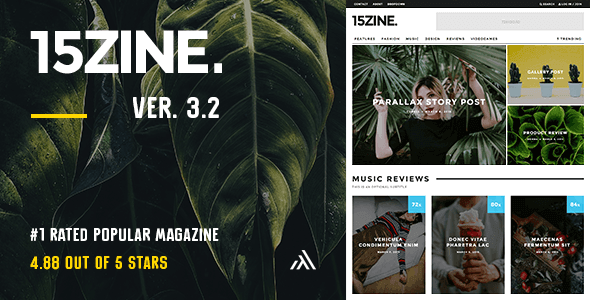 15Zine works well with WooCommerce and bbPress, offers a Trending megamenu option to showcase your most popular, and it’s very easy to customize. If you’re looking for a modern and polished look, you can’t go wrong with this one. Fast and stylish, Xinity comes with RAD Builder, Head Area Builder, and Visual Styler. In other words, setting up and tweaking your website will be a breeze. 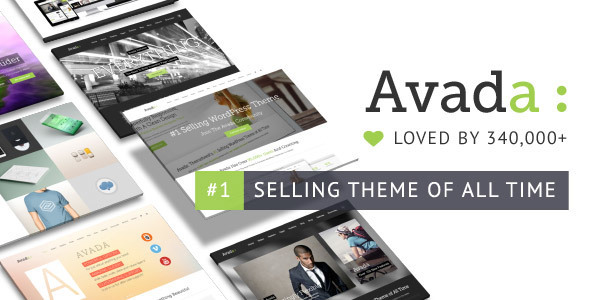 The theme has 39 built-in widgets and basically unlimited style variations for your pages. You can create eye-grabbing sliders, play with fonts and colors, set up your own online shop, or explore the theme’s advanced blog and portfolio features. The world is your oyster. No list featuring the best drag and drop WordPress themes would be complete without Visionary. Elegant and powerful, the theme gives you endless possibilities when it comes to designing your business or personal website. It sports an awesome page builder with all the elements nicely divided into categories, for easy use. You can set up a portfolio, create a blog, launch a company site, or manage an online shop. Visionary enables you to do all this and more. A versatile and multi-purpose theme that comes packed with everything you need to put your best foot forward in the digital world? Yes, please! Engine is a fully drag and drop enabled magazine theme that’s insanely user-friendly. You have endless layout possibilities to play with and tons of other great features to take advantage of. The theme offers smart sidebars, minisites, mega menus, a full comparison system built-in, a rating system, and so on. Whether you’re launching a magazine or a plain-old personal blog, you can’t go wrong with this one. Why Choose One of the Drag and Drop WordPress Themes on Our List? It’s easy: because we know you want to keep things simple. You don’t want to hire anyone to help you set up your website. And you want full control over how the final result will look. 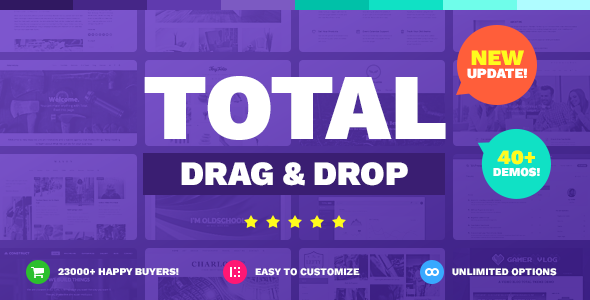 All the drag and drop WordPress themes on our list allow you to seamlessly create amazing designs by just moving around theme elements and customizing layouts to the max. They’re intuitive and easy to use, requiring no programming experience whatsoever. Just sit back, relax, and have fun with the drag and drop functionality. Your site will be up and running in no time. WordPress is an amazing platform for anyone looking to build a site with minimal to no assistance. You have a plethora of themes and plugins to test-drive when designing your page, a great community to ask for help, and hundreds of online tutorials to help you get better. However, if you don’t have time to get beyond the basics, any of the drag and drop WordPress themes above will provide you with all the tools you need to stand out from the crowd.